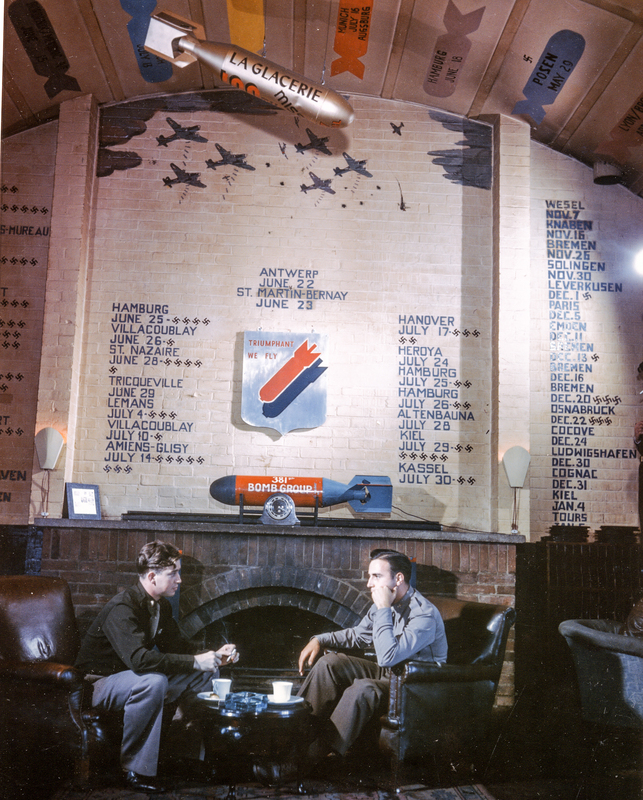 The 381st Bomb Group’s O Club at Ridgewell. 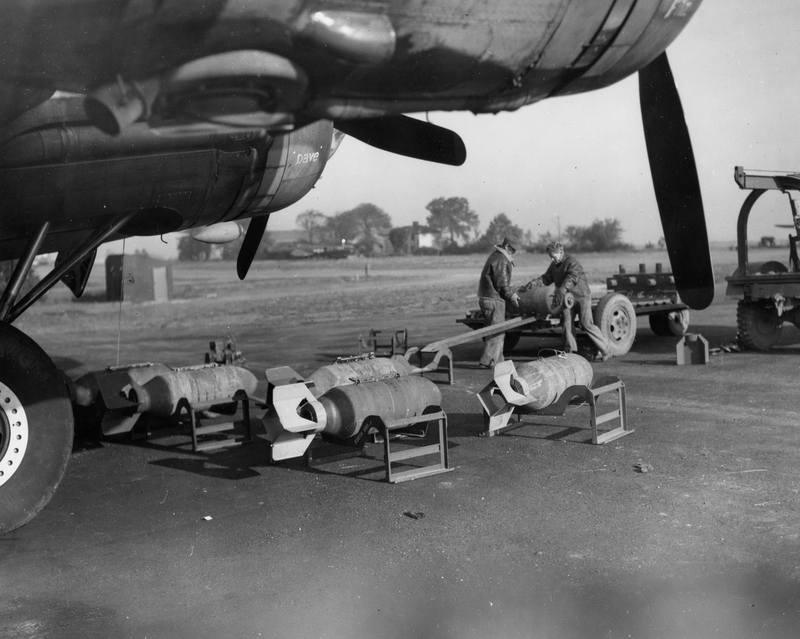 In May of 1943, the 381st Bomb Group reached England. It had been formed and activated in January that year, undergoing a short, intensive training cycle that included a full formation leaflet dropping exercise over Denver. Led by the legendary bomber pilot Colonel Joseph Nazzaro, the 381st was a tight, disciplined organization. Nazzaro would go into combat for the first time with his beloved 381st, and his tenure with the group led to an extraordinary career that culminated with him commanding SAC in the late 1960’s. The 381st climbing out over the channel. The group set up shot at Station 167, RAF Ridgewell in Essex. After a few weeks of settling in and local training flights, the group flew its first mission on June 22, 1943. Two of its B-17’s were shot down by flak and fighters on that first combat run, and two others came home battered and damaged with wounded aboard. It was a tough indoctrination to the air war over German-held Europe. 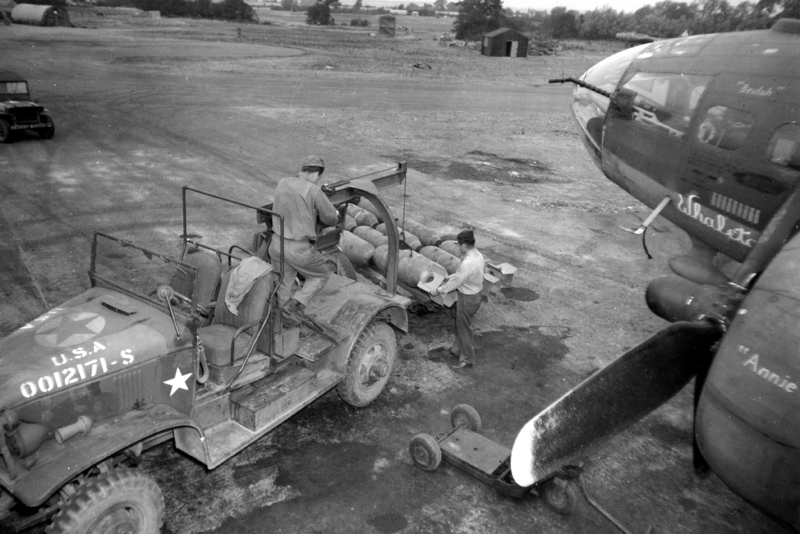 The following day, the ground crews were busily preparing the Forts for their second mission when a bomb exploded on the flight line. 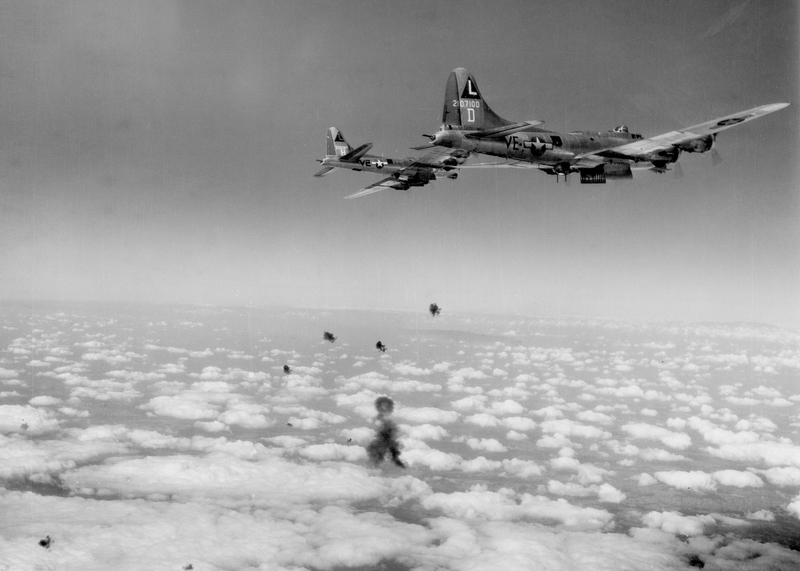 The blast killed twenty four men, yet the 381st joined the rest of the 8th Air Force and continued on to fly that day. During the August 17, 1943 Schweinfurt raid, half of the group’s bombers went down under the onslaught of determined Luftwaffe fighters and massive flak barrages. Ten crews went with those birds, but one crew returned home after being fished out of the English Channel. Colonel Nazzaro personally led the mission that day, flying the lead Fort in the formation. 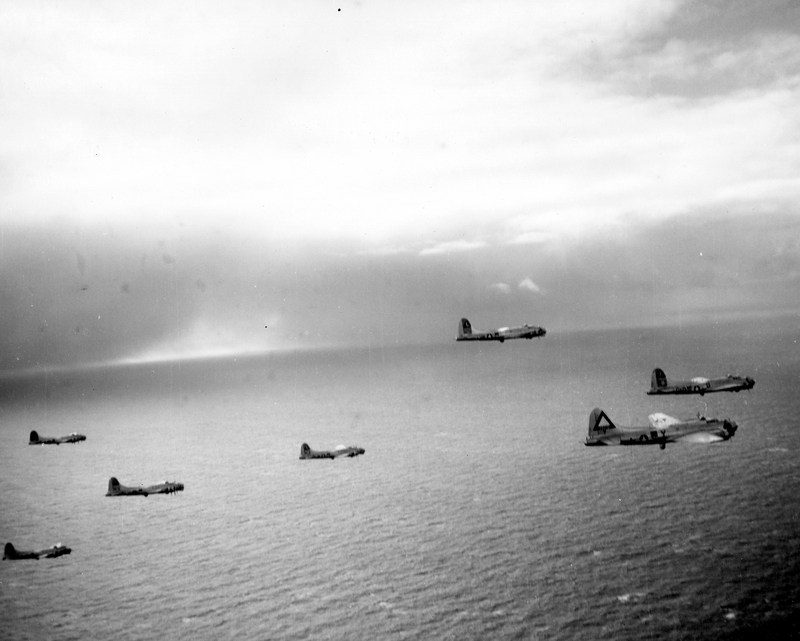 The 381st went on to fly a total of 296 missions–over 9,000 sorties against German targets. It came at a terrible cost–over a thousand combat crews went missing, were killed or wounded during those vicious two years of flying. 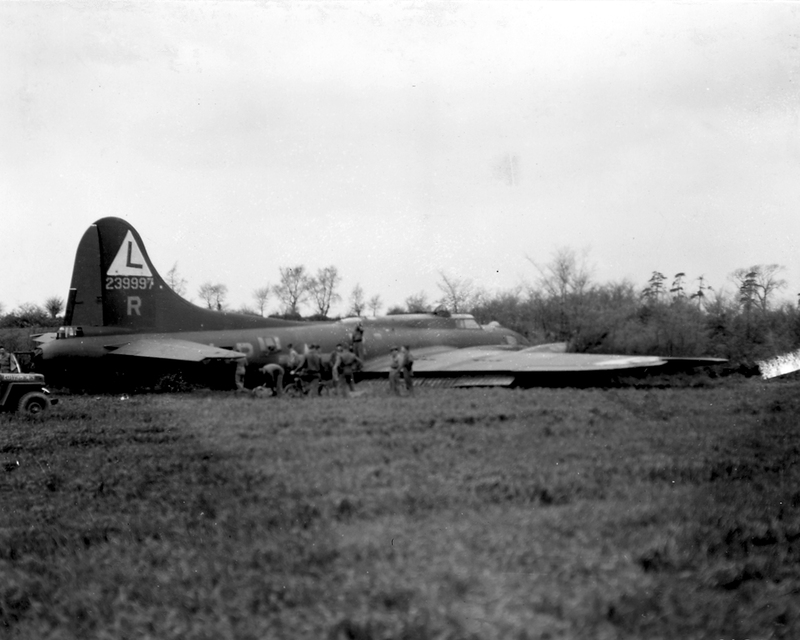 One hundred and thirty one B-17’s belonging to the 381st never made it back to station 167, which represented roughly 500% of the group’s established strength. The 381st over Germany, February 5, 1945.